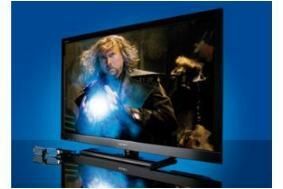 HOT DEALS: Multizone AV offers 3D TV/Blu-ray bundle deals | What Hi-Fi? For example, you can buy the Sony Bravia KDL-40HX803 3D TV and BDP-S470 Blu-ray player for £1200, a Sony KDL-40EX703 Freeview HD LCD/LED TV for £799.99 (was £1099.99), and the Sony BDV-E370 Blu-ray system for £349.99 (was £449.99). If you'd prefer a Panasonic, Multizone is offering the TX-P37X20 LCD TV for £399.99 (save £50), Panasonic TX-P42G20 plasma TV + free DMP-BD45 Blu-ray player + free 5-year warranty for £799 if bought in store, and a Panasonic TX-P42V20 Full HD plasma TV + 5-year warranty for £1099.99 (save £200). And if you're tempted to take the plunge into 3D, there's a Samsung bundle of UE46C8000 3D TV, two pairs of 3D glasses, a 3D BD-C6900 Blu-ray player, free film and free 5-year warranty for a package price of £2399.99. Finally, there's a Sharp LC40LE821 Full HD, LCD/LED TV for £888, down from its original price of £1499.99.